A large exterior painting contract, the original windows where refurbished, with new double glazed sashes added. The existing frames where stripped back to bare wood using a hot air gun. Primed, undercoated and double glossed. 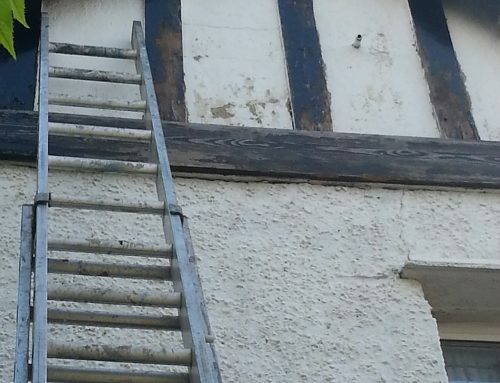 The black metal guttering was finished using Coo-Var metal paint. I used Sandtex flexi gloss X-tra on this project, was very impressed with the paint and finish achieved. I would highly recommend this paint for external painting. Here’s a link to the Sandtex page.